Our bodies are full of bacteria and other microbes, known collectively as the human microbiome. And while it may seem icky, most of those microbes aren’t our enemies. In fact, we need them to stay healthy. Everyone develops their own unique mix of microbe species, starting with the ones they are exposed to during birth. Over time, those microbial communities can shift, for better or worse. “Each of us has changed our microbiomes profoundly over the course of our lifetimes, and we continue to change them, often with things that we can control, like our diets, for example,” said Rob Knight, co-founder of the American Gut Project. The changing nature of our microbiomes may give us a chance to fix things when they go wrong. But it also makes it possible to mess things up -- for example, when we take antibiotics. "Antibiotics have a huge impact on the developing child's microbiome, whereas in contrast, vaccines, which a lot of parents worry about -- if they have an impact on the microbiome overall, it's so small that it's undetectable,” said Knight. 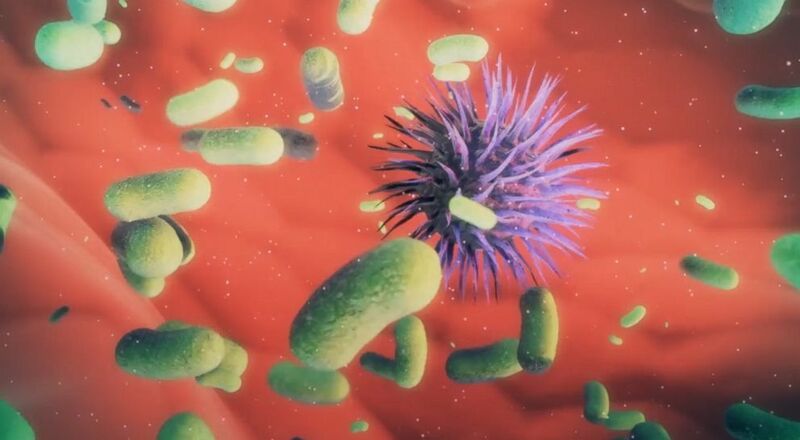 (Inside Science ) Most of those microbes aren't our enemies. In fact, we need them to stay healthy. Knight described the changes in one child whose microbiome was tested every week for the first two and a half years of life. "When they took antibiotics for an ear infection, it caused a rapid regression of their microbiome, undoing months of normal development in just a few weeks. But then that child was enormously resilient and bounced back to where they were just a few weeks later, before going onto a normal developmental process. That doesn’t happen for every kid though. And the truth is that different people respond completely differently to antibiotics. And we're trying to find out why some children and some adults are extremely resilient to antibiotics, whereas others find their microbiomes permanently changed,” said Knight. So how can you keep your microbiome healthy, besides avoiding antibiotics? “The take-home message for consumers right now is that there's a lot of things that you should do, but they're mostly things that your grandparents also told you. So, you should eat your vegetables, especially an array of different vegetables, which we're finding is really important for reshaping the microbiome. You should eat a lot of fiber, especially the kinds of fiber that could be fermented by the bacteria in your gut,” said Knight. Someday, researchers may be able to offer more customized advice, based on each person’s unique microbial communities. “We're finding out that the microbiome is tremendously different from one person to another, and those differences have a huge impact on which foods are healthy and which foods are unhealthy for you personally. So, what we're hoping to be able to do in the future is not just give you generic advice but give you very specific advice on what's going to be good or bad for you, from a blood glucose perspective, from an inflammation perspective, and from the many other ways that your food interacts with your microbiome. What I hope we're going to see is empowering individuals to be able to see their microbiome, to be able to take charge of it, and to be able to modify it in ways that improve health over a lifetime,” concluded Knight.